You may want to leave or empty your tumblers and travel mugs at home if you’re a Light Rail Transit Line 2 (LRT-2) or Metro Rail Transit Line 3 (MRT-3) regular: These train lines have started to tighten security following series of bombing incidents in Mindanao. Yes, this includes a ban on bottled water and other liquid materials. According to Inquirer.net, the train management implemented the ban following the directive of the Philippine National Police (PNP) and National Capital Region Police Office (NCRPO). NCRPO chief Director Guillermo Eleazar said that liquids could be harmful chemicals that may imperil the lives of train passengers. The PNP is on “heightened alert” after the terror attacks in Mindanao. 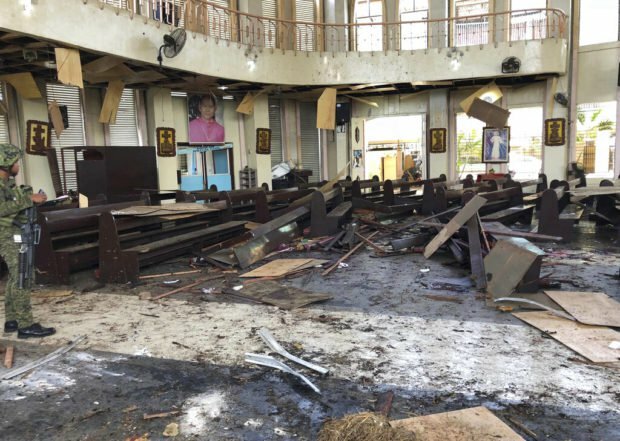 There were explosions at the Cathedral of Our Lady of Mount Carmel in Jolo, Sulu on Jan. 27, which killed at least 21 people and injured 111 others, in North Cotabato the following day, which killed a police officer and injured seven people, and at Mahardika mosque in Zamboanga City, which killed two Islam teachers and injured three others.